A senior academic from Plymouth University has been appointed to a body advising the French government on best practice in animal welfare. 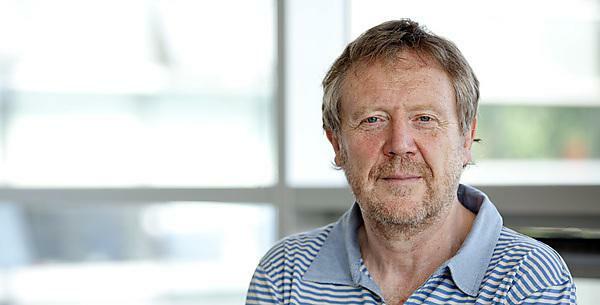 Dr John Eddison, Senior Lecturer in Applied Ethology in the School of Biological Sciences, has been appointed to the Animal Welfare Working Group of the French Agency for Food, Environmental and Occupational Health & Safety (ANSES). The group’s remit is to consider all contexts that may affect the health and welfare of animals, including farm livestock, companion animals, laboratory animals, zoos and animals in the wild. In particular, that includes evaluating the risks to animal welfare, evaluating animal welfare indicators, reviewing husbandry methods, and conducting scientific evaluations of codes of good practice. Dr Eddison has been associated with Plymouth University for more than 30 years, being appointed Chair of the Animal Welfare and Ethical Review Board in 1998 and Programme Lead of the MSc Zoo Conservation Biology in 2004. In that time, he has conducted research, and designed and led degree programmes, centred on animal welfare policy making and served as an expert witness in over 20 cases in which people have been seriously injured or killed by livestock. Since 2008, Dr Eddison has also held an advisory role as an animal welfare specialist on the Department for Environment Food and Rural Affairs’ Zoos Expert Committee. He has published over 30 peer-reviewed publications in journals including Animal Welfare, British Veterinary Journal and Nature. ANSES, established in 2010, is an administrative public establishment accountable to the French Ministries of Health, Agriculture, the Environment, Labour and Consumer Affairs. Its duties include risk assessment in the fields of food, the environment and the workplace, for the purpose of assisting the authorities with their policies on health and safety. ANSES undertakes independent and pluralistic scientific expert assessments. Its primary task is to ensure human health and safety with regard to the environment, the workplace and food. It also contributes to the health and welfare of animals, the protection of plant health, and the evaluation of the nutritional and functional characteristics of food, and is responsible for veterinary medicinal products. To successfully carry out its missions, the agency relies on expert groups made up of more than 800 scientists from across France and Europe. Our graduates are highly employable across a range of careers in the wider context of biology. What can you do with a degree in biological sciences?